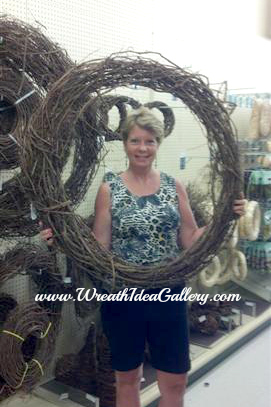 I found this large grapevine wreath form at Hobby Lobby. 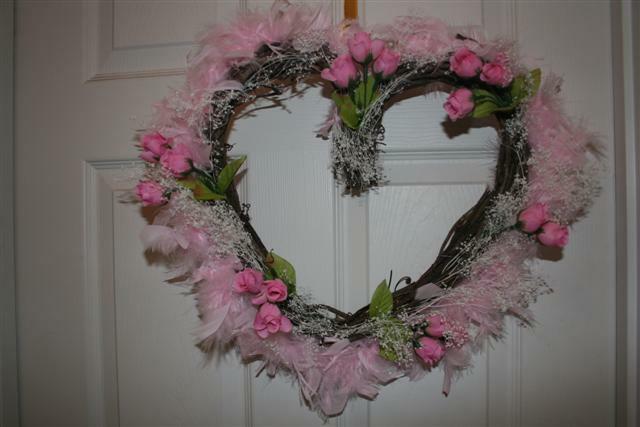 Did not get it that day as I do not have a place for such a large wreath. But keeping it in mind...for a project down the road. Your wreath is half made when you start with a grapevine wreath form, because the natural beauty of the grapevine can be a visible part of the finished project. 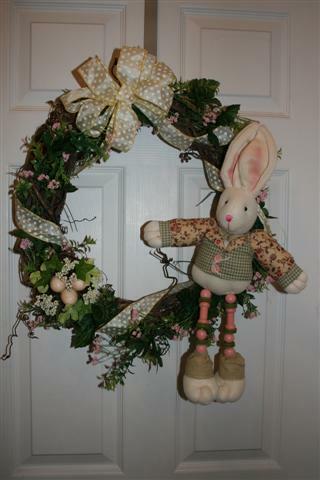 This Easter wreath you can see a lot of the grapevine in between the ribbon, flowers, and bunny; notice the tendrils that add to the unique beauty. This is a grapevine shaped into a heart. The boa softens the outside while the grapevine provides the shape and natural looking structure. Grapevine twisted and shaped into a wreath with all the natural curls and twists add to the beauty of each wreath. Each wreath completely original, no two alike. When I am picking out a grapevine wreath I look for as many curly tendrils. 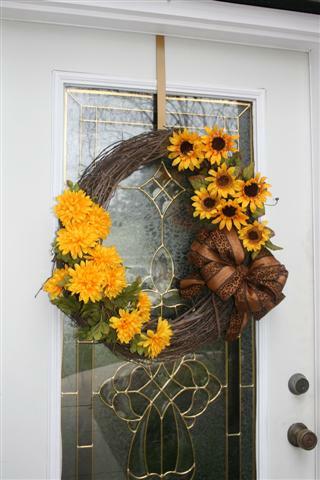 This sunflower wreath lets a lot of the natural foundation shine through on this large oval form. You do not have to worry about completely covering the form. Let the natural beauty be part of the design. It is so easy to add flowers, you can just poke them into the vine and they stay. Tying objects on is easy too.